Do you remember the red and white delivery wagons of the Courier-Express? Maybe you go back even further to remember when they were green? It was 33 years ago this month, in September, 1982, that the lights went out and the press went cold at Buffalo’s other great newspaper, the Buffalo Courier-Express. 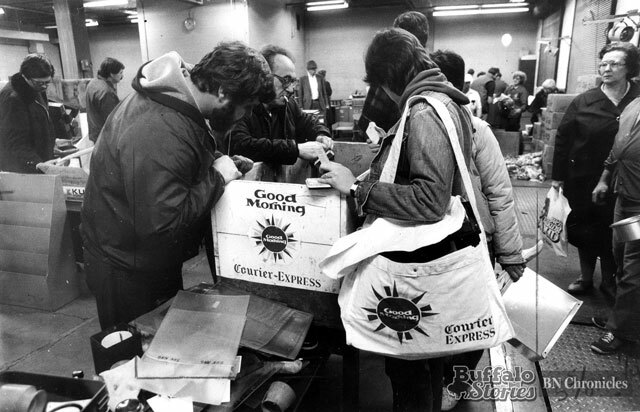 Absentee ownership of the Courier, a staff of journalists unwilling to compromise the integrity of their newsroom, and the fact that both the Buffalo Courier-Express and The Buffalo Evening News were losing money as Buffalo’s economy continued to erode were all among the final straws that broke the paper’s back. The final edition was prepared Sept. 18, 1982. Longtime News Editor Bob Dearing was among the last reporters to file a story for the Courier-Express when it closed. His summation of the colorful history of the Courier-Express didn’t make it into that final edition as planned, but it was printed in The News on the 25th anniversary of that last edition of the Courier-Express’ making a thud on stoops for the last time. Editor’s Note: Reporter Bob Dearing worked his regular Saturday shift on the last working day at the Buffalo Courier-Express. It was Sept. 18, 1982. His assignment: Do a quick history of the newspaper to run the next day for the newspaper’s last edition. The story never ran but Dearing saved it all these years anyway. A quarter century later, we present the Courier’s final story. 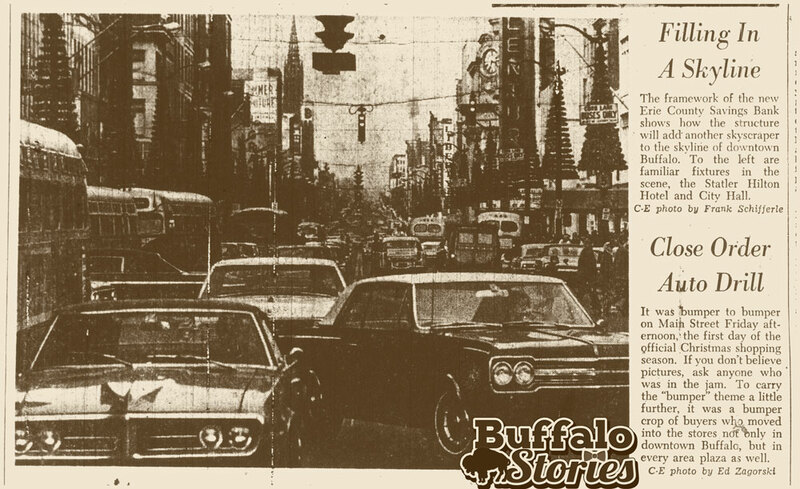 Today’s last edition of the Courier-Express ends a colorful chronicling of Buffalo’s daily life that began in 1926 when the Buffalo Courier of William J. “Fingy” Conners merged with the Buffalo Morning Express. The newspaper’s ancestry, though, stretches way back to 1834 when publisher James Faxon launched his Western Star, the first daily newspaper published in the booming Erie Canal town. Just two decades earlier, the entire village of Buffalo had been burned to the ground by the British in the War of 1812. Now, it was a growing and expanding city and its residents needed to be informed. Four months later, the Western Star changed its name to the Daily Star, which then morphed into the Daily Republican. But the new newspaper nearly went bankrupt after the 1840 presidential election when it alienated much of the city with its vigorous endorsement of Martin Van Buren for a second term as president over William Henry Harrison, the Whig candidate who ultimately triumphed. The newspaper changed hands in 1841, becoming the Daily Mercantile Courier & Democratic Economist. The newspaper, under new publisher Joseph Stringham, underwent three name changes and finally, after merging with another newspaper, became the Daily Courier & National Pilot. Soon, the name reverted to the simpler Buffalo Courier. The daily Courier was a strong force in Buffalo journalism throughout the late 19th century and it began a Sunday edition in 1875. Another string of ownership changes culminated in 1897 when Conners purchased it. Conners, a tough product of Buffalo’s tough First Ward, was born in 1857, quit school at the age of 13 and went to work on the docks of the city’s waterfront. He turned his toughness — his nickname refers to the loss of a finger as a youth — into a small fortune lording over the boisterous commercial world of Great Lakes shipping. He plunged into the newspaper business with a series of acquisitions that culminated with his Courier purchase. The Morning Express, his merger partner in 1926, was established in 1846 by printer Almon W. Clapp. It’s best remembered for Mark Twain, the American literary genius who purchased part ownership in it in 1869 and graced its pages for two years here as its editor. It was the 1926 merger of the Morning Express and Conners’ Buffalo Courier that created the newspaper we’re saying farewell to today: The Buffalo-Courier Express. 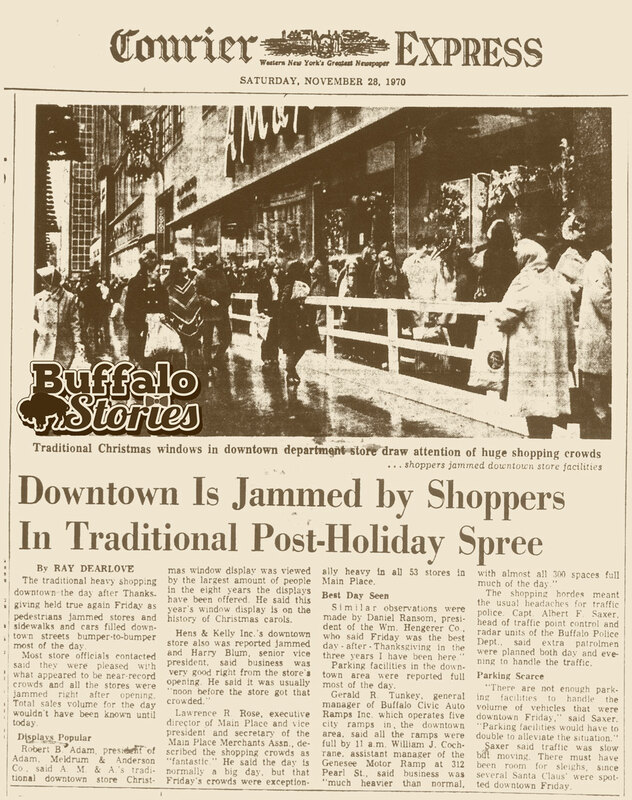 After two competing newspapers, the Buffalo Commercial Advertiser and Buffalo Times, ceased publication in the late 1930s, only the Buffalo Evening News, a newspaper founded by Edward H. Butler Sr. in 1880, was left to compete with the Courier-Express. Conners handed over the leadership of the Courier to his son, William J. Conners Jr., who in turn, would turn over the operations to his son, William J. Conners III. The Conners legacy at the Courier-Express was marked by sometimes bitter feuds with The Buffalo Evening News. The generally scrappy Democratic newspaper was often at odds with the staid Republicanism often found on the editorial pages of The News during the 1960s and 1970s. And who can forget the fabled domed stadium fight of the late 1960s when The News pushed for a suburban location while the Courier advocated a downtown site? The Conners era ended in 1979 when it was sold to the Minneapolis Star and Tribune Co., which is now the Cowles Media Co.
Executive Editor Douglas L. Turner — later to become The News’ Washington Bureau Chief — was replaced by Joel Kramer and Roger P. Parkinson was named publisher. New features were introduced, more reporters and editors were hired and new supplements were added to the Sunday newspaper, in a bid to better compete with The News’ Sunday edition, which was launched in 1977. But both newspapers were losing money and Cowles officials announced Sept. 7 they were closing the newspaper on Sept. 19 if new owners could not be found. A tumultuous and ultimately unsuccessful effort by Australian publishing magnate Rupert Murdoch and his News America Publishing Co. to purchase the Courier-Express was the final chapter. The Sunday Courier, when it began publishing in 1875, started the longest continual Sunday newspaper run in the history of Buffalo. Sadly, that run ends today. 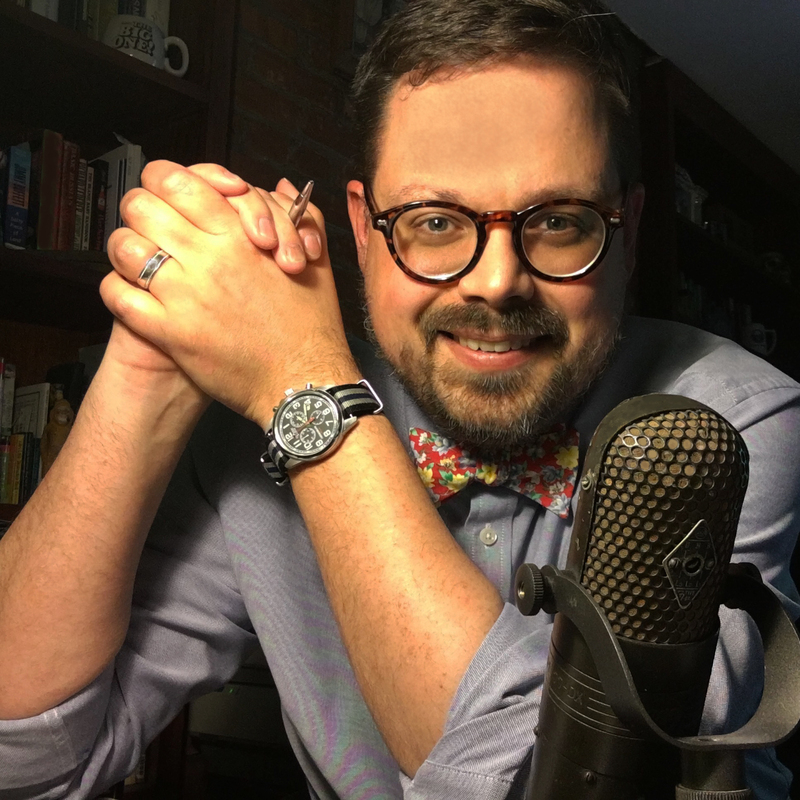 Dearing still works for The News — today, he is the lead wire editor, selecting the state, national and international stories that appear in the paper.